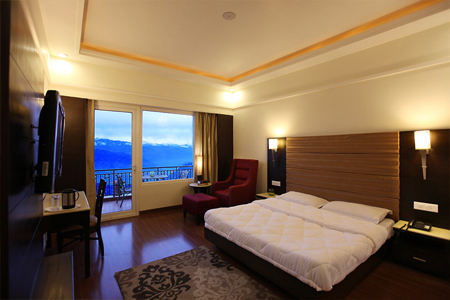 Grand View is a luxurious property located in the heart of Dalhousie. 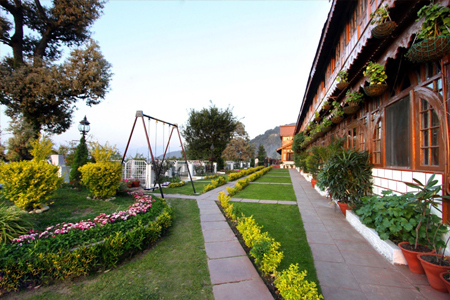 The hotel is encircled by enchanting surroundings invading snow-capped mountains and pine trees. 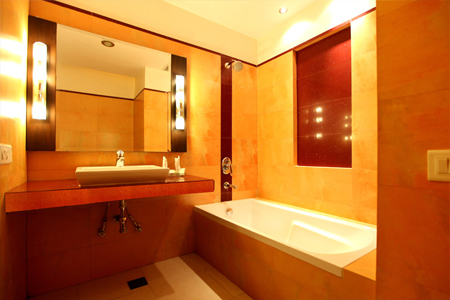 It offers facilities for both business and leisure travelers for complete pleasing stay. 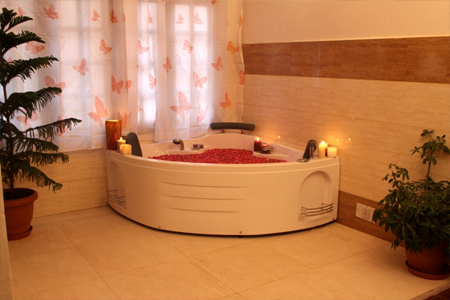 Guests can rejuvenate at the on-site Nirvana Wellness Centre and Tattva Spa while availing variety of body relaxing therapies along with Jacuzzi. In free time you can also make use of various recreational options like camp fires, table tennis, boxing bag, badminton court, pool table etc. available within the premises. Formal meetings can take place at the on-site centrally heated conference hall outfitted with state of the art amenities. 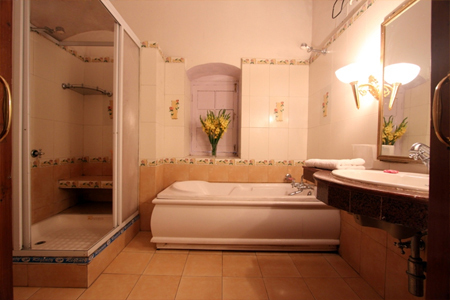 The property boasts of 53 deluxe rooms and suites, which are well-furnished and spacious. 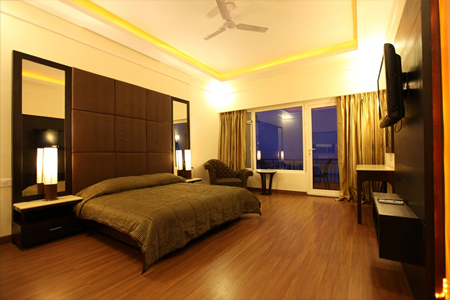 These luxury style guest rooms come in different categories and are fitted with all modern day convenience. 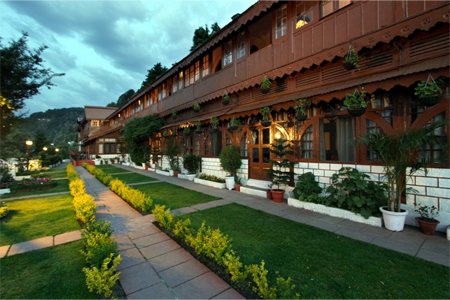 Large windows and private balcony in each room endow with scenic view of the splendorous surroundings. Unwind yourself with the sip of assorted drinks while having a look over spectacular view of mountains at the well-stocked bar. "Tiffins" multi-cuisine restaurant is here to savor variety of traditional as well as International mouth watering dishes. 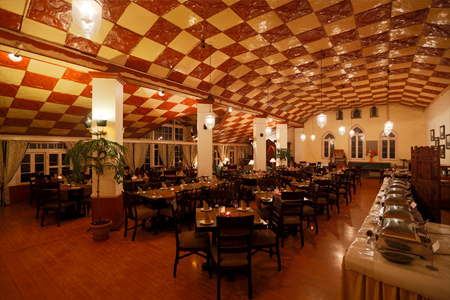 Special arrangements such as musical nights, folk dances, live bands and Gazal evenings can also be arranged on special demand. For comfortable accommodation, guests can relax in the 53 well-appointed spacious rooms featuring wooden laminated flooring and wide open air windows. 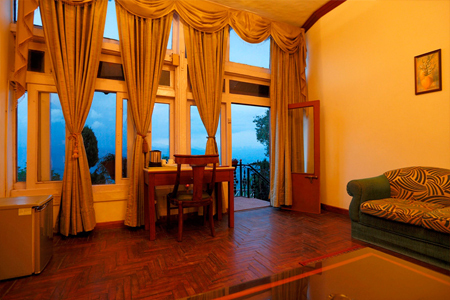 Private balcony in the rooms will help you to enjoy uninterrupted view of delightful surroundings. 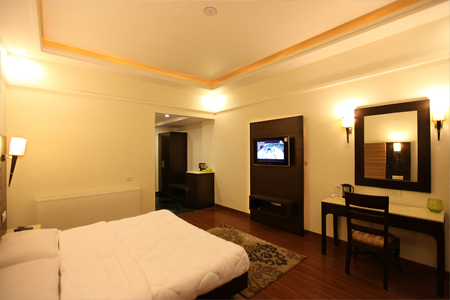 All these luxurious guest rooms are fitted with modern day amenities for utmost peaceful stay. En suite bathrooms come with hairdryer and plush toiletries.